So clean, so new, so green. 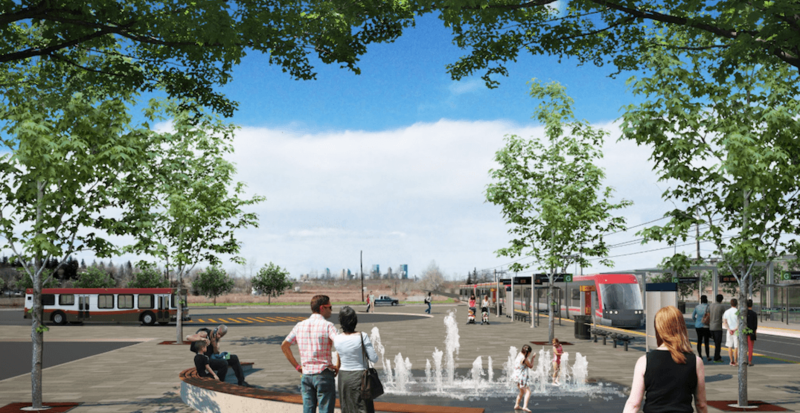 Calgary’s newest LRT line is currently under construction, and while it may be a few years before anyone actually gets to ride the thing, that’s not going to stop us from fawning over the photos of what it might look like. 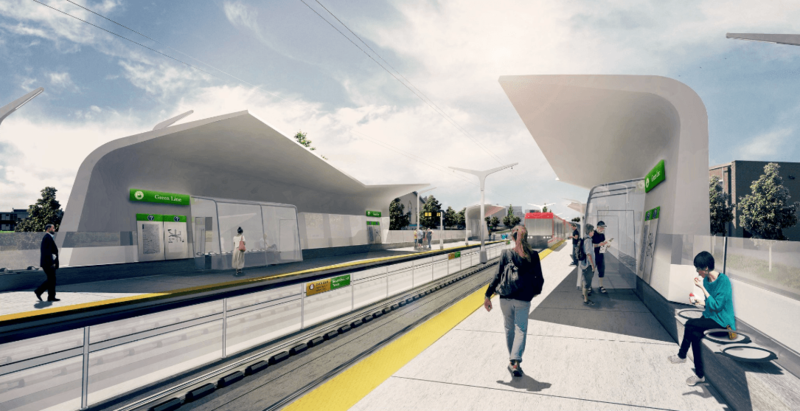 The first stage of the Green Line LRT is expected to be completed by 2026, opening up the first 14 stations and 20 km of new track to Calgary commuters. 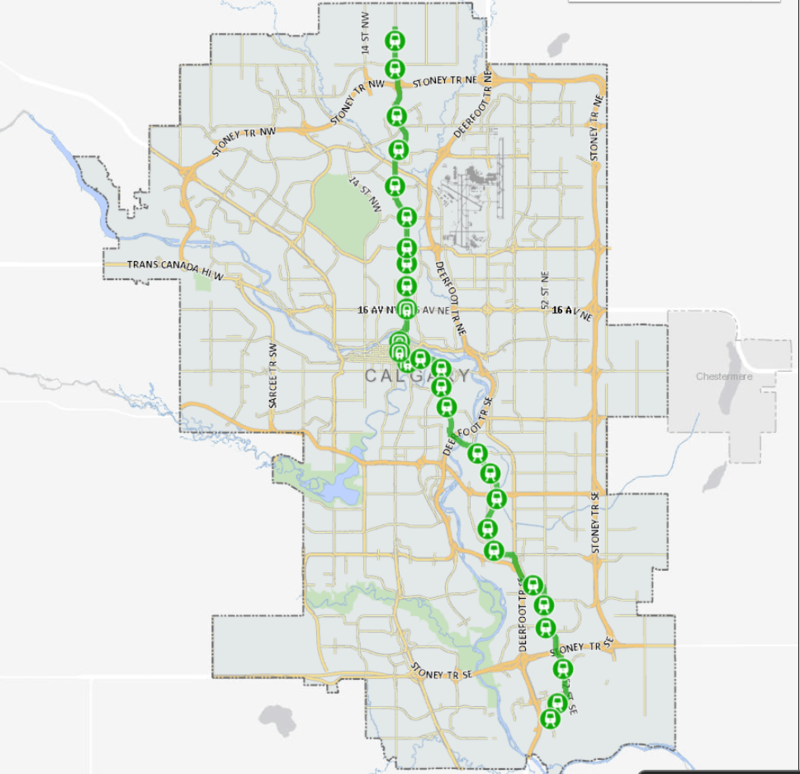 $3 billion in funding was locked down at a joint announcement from Alberta Premier Rachel Notley and Calgary Mayor Naheed Nenshi at the end of January, promising that the biggest infrastructure project in Calgary’s history will be delivered. “Calgary is one of North America’s great cities,” said Notley in a release from the Government of Alberta. 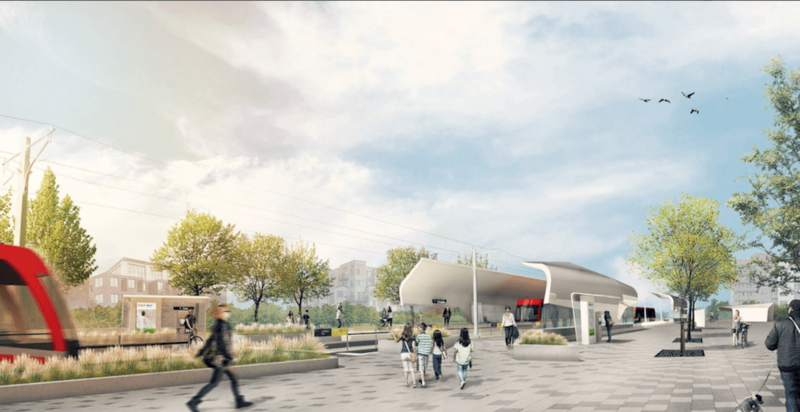 The first stage of construction is expected to create over 20,000 direct or additional jobs over the next six years, and once complete the line will reduce an estimated 6,000 cars worth of CO2 emissions per year. 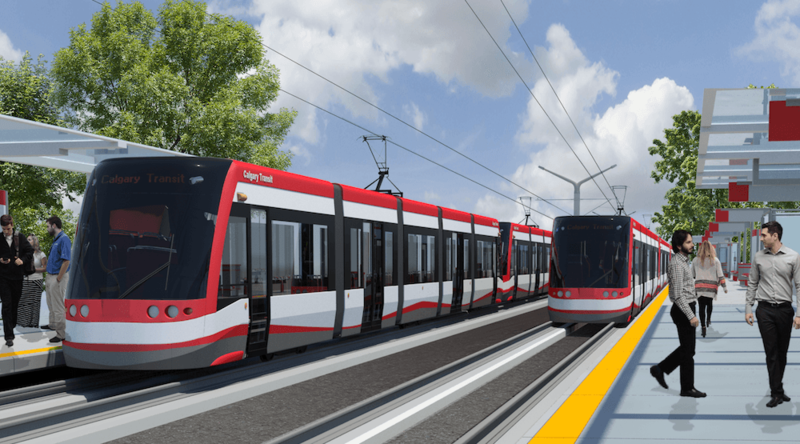 The City of Calgary provided a hint of what the new line will look like by posting a few renderings to Twitter on February 6. 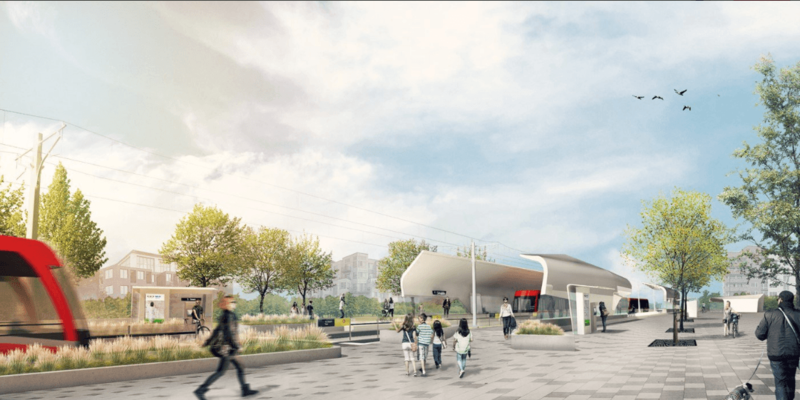 Artistic rendering of a ground-level station on the new LRT. 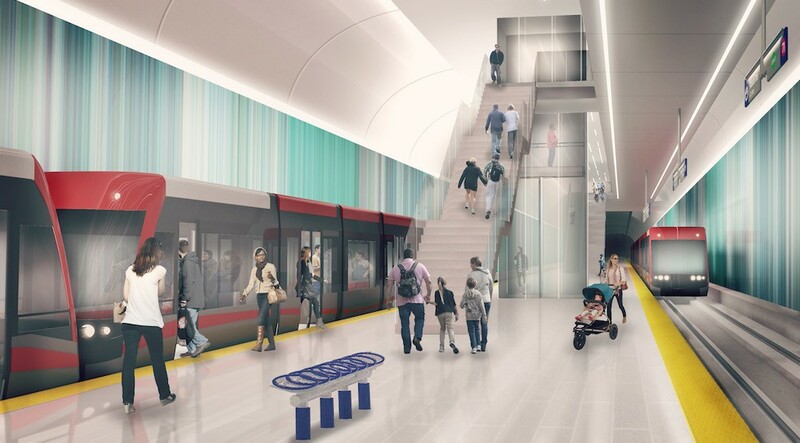 Artistic rendering of an underground station on the new LRT.